Last week on "Ask J.T. Anything," I was asked about the right way to customize a connection request on LinkedIn. I'm a big believer in customizing every, yes EVERY, connection request. So much so, I wrote this post on LinkedIn to give you seven different ways to do it. So, no excuses! Job Seekers: What Should My Email Signature Say? No one likes to read on and on to get to the point. State your message concisely and simply. If you have a question, get to it quickly. Alert your recipient to what your email is about or you risk being ignored or relegated to the read-later (or never) list. Avoid using alert words, like Urgent, unless the matter really requires urgent attention or you become the boy who cried wolf. If you blanket someone’s inbox, you’ll soon be ignored. Save up several little matters to send in one email. On the other hand, if you have a matter that needs immediate attention, don’t bury it inside a laundry list of insignificant issues. Edit your emails as if they were formal letters. Omit slang and overly familiar language. Don’t copy people on your email unless they need to see the message. And don’t forget to use the BCC field, particularly for emails sent to large groups. People don’t want their emails shared so widely. Hide the recipients’ addresses in the Blind Carbon Copy (BCC) Field. Sometimes people are copied on emails out of courtesy, but individual replies don’t need to be copied to everyone. It’s a rookie mistake. 8. Omit Any Silliness: No Emoticons! If you’re trying to be funny, stop; business emails are not the place for this. Your recipients, frankly, may be in no mood for lightness and mirth. Without the benefit of facial expressions or body language, words are easily misinterpreted. So, keep your sentences simple and declarative. Keep the message focused and don’t go off on tangents. Never add a link without indicating what it is — not in an age of über vigilance over suspicious links that threaten to take us to where thieves lay in wait to steal our identities. Not only should you not send an unidentified link — never open one either. This post was originally published at an earlier date. It’s no secret that millennials are taking the workforce by storm. In fact, in a recent study by Upwork shows that 45% of the current workforce is comprised of millennials, up 20% from 2005. Related: How Employers Can Retain Millennial Talent While the average age of employees is an obvious change in the workplace, one of the less obvious changes is the difference in office etiquette. A lot of this change is coming from the increased use of technology in the office. Millennials practically grew up with their fingers on a keyboard, and a cell phone in their hand, where older generations in the workplace are learning as they go along. Millennials have been known to text with their bosses, and tweet about funny things their co-workers say or do - something that Generation X or Baby Boomers would not have done (or had the option to do) as young professionals. While this change in etiquette isn’t necessarily a bad thing, it is causing a bit of coarseness between generations in the workplace. “More than 60% of employers say they there is tension between the generations in the workplace,” says Dawn Stanyon in an article on Emily Post. 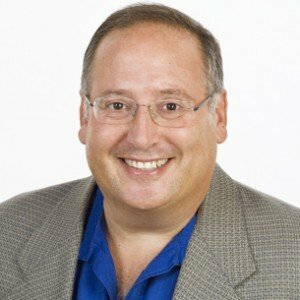 “Fifty perfect or more of Millennials, Gen Xers and Boomers alike perceive that their talents and abilities are not appreciated by the other generations.” “The perception of incivility seen in the workplace these days is heavily driven by technology,” said Tony Ventrice, CDO of Badgeville. “Technology is making us more productive, but it can also cause some rifts between generations.” According to Ventrice, millennials have a fair amount of power since they’re much more familiar with technology than Generation X and Baby Boomers. Since millennials ‘know more’ they feel that they’re entitled to new rules of etiquette, and from the perspective of an older generation, this can seem less polite. I think everyone can agree that working in an environment where you feel like you have to walk on eggshells every second of the day would be pretty lousy. So, how do you reach a happy medium between the generations in the workplace? Here’s a simple equation from Ventrice that breaks it down: When millennials understand that there is hierarchy in the workplace that has to be followed and managers understand how millennials function, and what they ultimately want from their job, then there is a happy work environment where tensions are low. “If both sides of the equation connect and understand each other, things are going to run a lot more smoothly,” says Ventrice. QUIZ: How Good Is Your Professional Etiquette?